Abdullah Khalid is one of the hardworking vaccinators making sure that even children on the move are protected against polio. 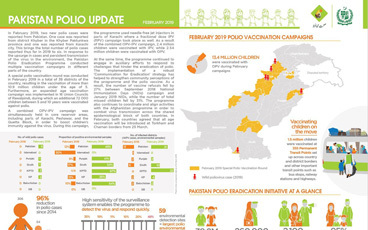 The poliovirus knows no borders, making children on both sides of the border between Afghanistan and Pakistan vulnerable to contracting the debilitating disease. 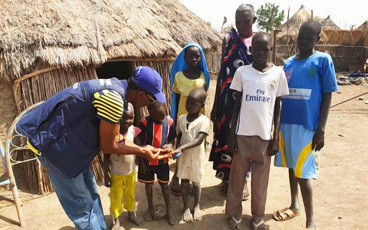 This is why, placed strategically along the border, 19 WHO-supported vaccination posts reach children on the move as they cross between countries, ensuring that all children under the age of 10 receive two drops of the oral polio vaccine to protect them from polio. 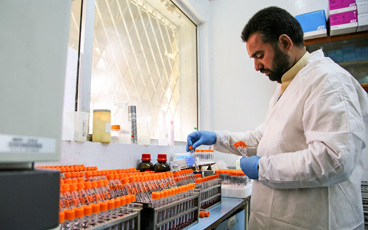 One of these teams is led by Abdullah Khalid, who has worked for the polio eradication programme for 14 years. 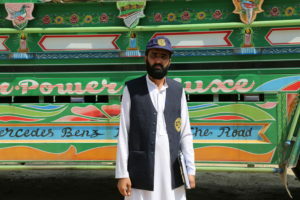 Abdullah Khalid started working as a vaccinator and has now worked as a team supervisor for the past 10 years. “I am proud when we can reach every child and when I see my team vaccinating children, making sure that no child is missed. This makes me very happy,” he says. Cross-border vaccination teams are crucial in the fight against polio. The Torkham border between Afghanistan and Pakistan, in eastern Nangarhar province, is one of the busiest border crossings in Afghanistan. Currently 38 WHO-supported vaccinators work in three shifts, operating 24 hours a day, 7 days a week. 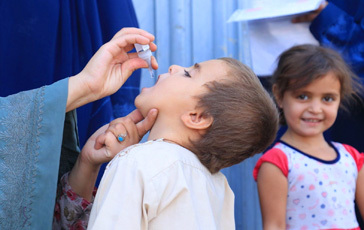 Since January this year, WHO and partners have vaccinated over 44 000 Afghan children under the age of 10 crossing the border to Afghanistan from Iran and Pakistan. 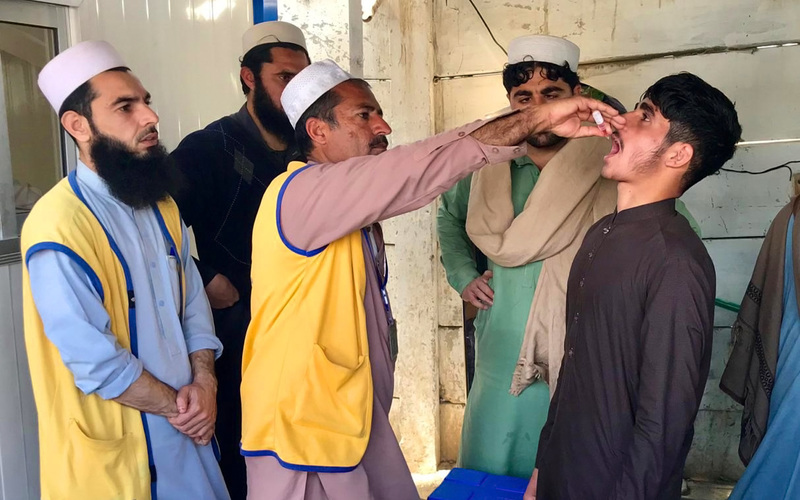 Over 25 000 of these have been vaccinated at the Torkham border’s so called “zero point” – the first point where Afghan refugees and returnees returning from Pakistan arrive. “We focus a lot of finding cases of acute flaccid paralysis, sudden onset of floppiness in the limbs that is a sign of polio. 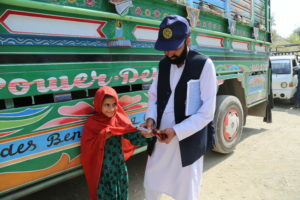 We check children in all the vehicles that arrive at the border and work hard not to miss any potential polio cases,” Abdullah Khalid says. Most caregivers crossing the border to Afghanistan accept the polio vaccine but challenges remain. “Sometimes we see parents who refuse to vaccinate children. We try our best to convince them to vaccinate by telling them more about the benefits of the polio vaccine and how polio cannot be cured. Those who refuse to vaccinate their children often don’t understand what the vaccine is or how it is essential for protecting their children,” Abdullah Khalid says. Despite difficulties and his demanding work in a challenging environment where the security situation can shift quickly, Abdullah Khalid and his team are determined to continue the fight against polio.